Smith.ai supports scheduling through your Schedulista account, so our receptionists can book appointments for your callers. Here's how to set this up. Retrieve your scheduler link. 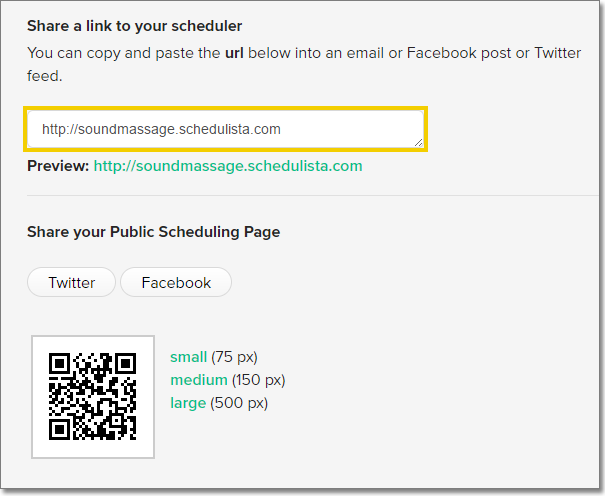 Login to Schedulista and click on "Settings," and then copy the link to your scheduler found under the section, "Share a link to your scheduler." Send the link in an email it to support@smith.ai, with the subject line "Connect my Schedulista account." Please provide any directions so our receptionists correctly book appointments for you. For example, you may have different "event" types for the various services you offer, or specific guidelines for which callers may be booked for a "new client consultation."